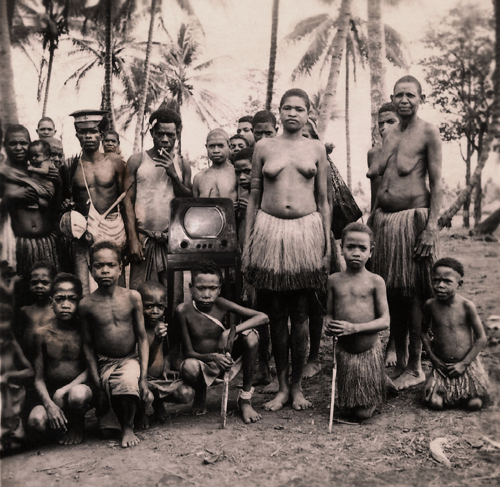 This digitally manipulated historic image titled "New Guinea TV" is visually engaging and upon closer observation the early television becomes a visual statement of how western civilization has had profound influence on primitive cultures. 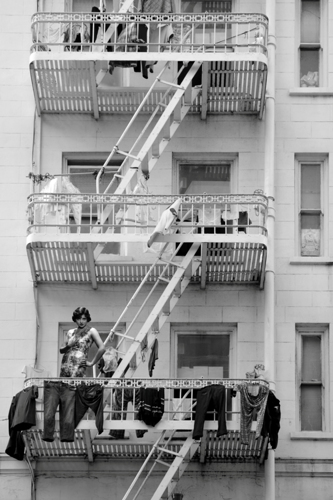 I love history and take pleasure in the fact that an old photograph can inspire a journey back in time. 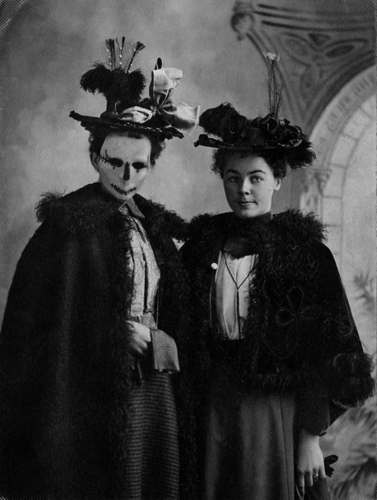 I collect photography from 1860 - 1960. This digitally manipulated kitsch image titled "Fashion Accessories" is sentimentally charming, tacky and fun. 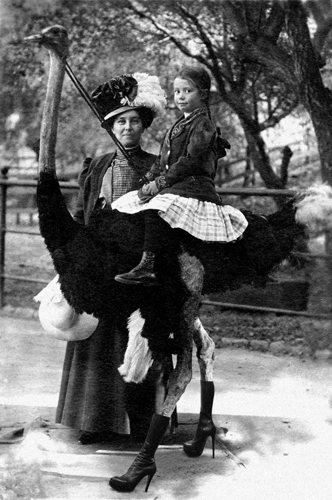 The historic image is delightfully unusual and upon closer observation the high-heel boots the Ostrich is sporting becomes a pleasant surprise. 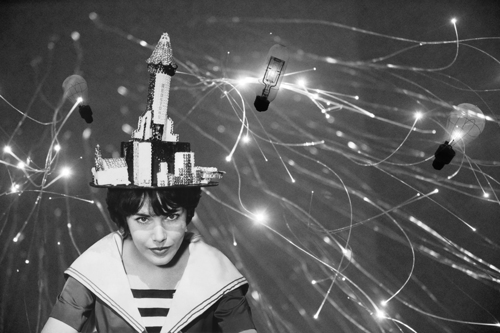 Digitally manipulated historic image of a women with an unusual hat coupled with present day photos of fiber optics and light bulbs. 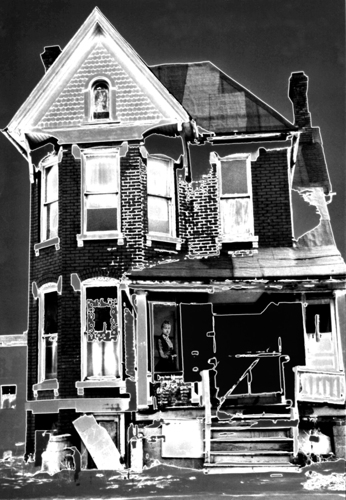 Then subject on now background.